Would you believe that the total weight of ants is the same as humans on Earth? Hold on one moment please. Did we just say that the weight of ants is the same as humans on Earth? This can’t be possible, or can it? Ants are a mere fraction of our size after all, but when added up, the total weight of all the ants is roughly equal to the total weight of all humans on Earth. We will explain the amazing coincidence below. 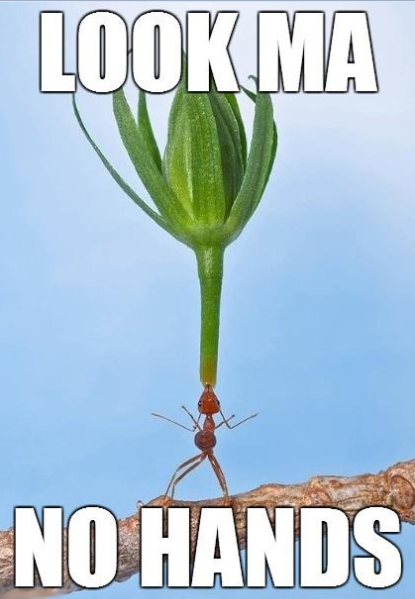 Aren’t ants wonderful creatures? Though they are the bane of picnickers the world over, normally there is very little reason to be concerned with them. Although most ants can sting, in most instances the sting is nothing more than an annoyance. In all honesty, unless they are invading our food, or gracing the cinematic screens, we pretty well proceed with life with very little thought about them. There are about 10,000 different types of ants, and they have been o Earth for millions of years. There have even been discoveries of ants in fossilised sap. Despite the fact they have been around for millions of years, they have changed very little. In fact some scientists believe it is their unique way of life that has led to their unique, unchanged survival. Living in a community, as a community where everyone works together has its benefits. When they find or kill food, ants will not eat it where it is, they will return it to the nest for all to consume. Now back to the weight of ants and humans. As we said before, the total weight of all ants on |Earth is equal to that of all humans on Earth. So how could that be? The ants out number us by about 1,000,000 to 1. By coincidence ants on average are about 1 millionth the size of a human. So if you do the math you will see that the total weight of all of the ants is the same as the total weight of all the humans on Earth. Does Green Tea Repel Mosquitoes?